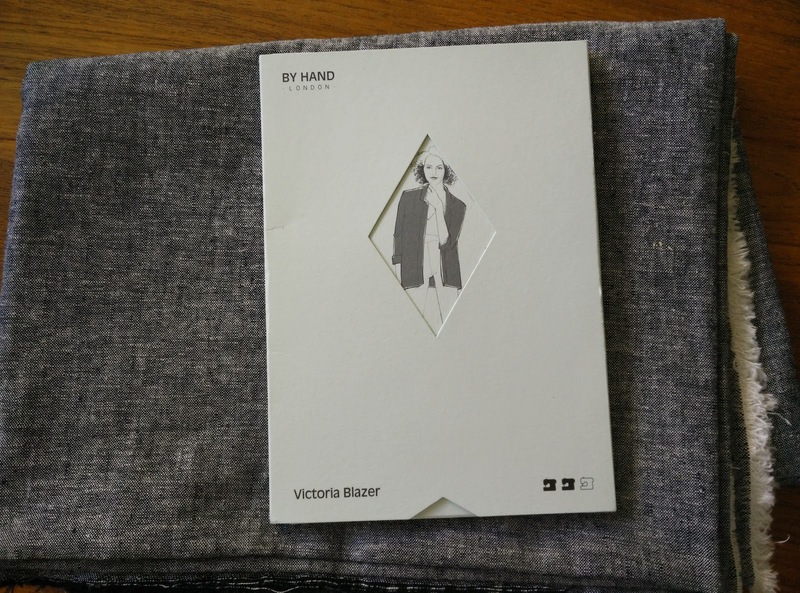 By Hand London is an independent sewing pattern label and their patterns can be found at Bolt and Josephine's. 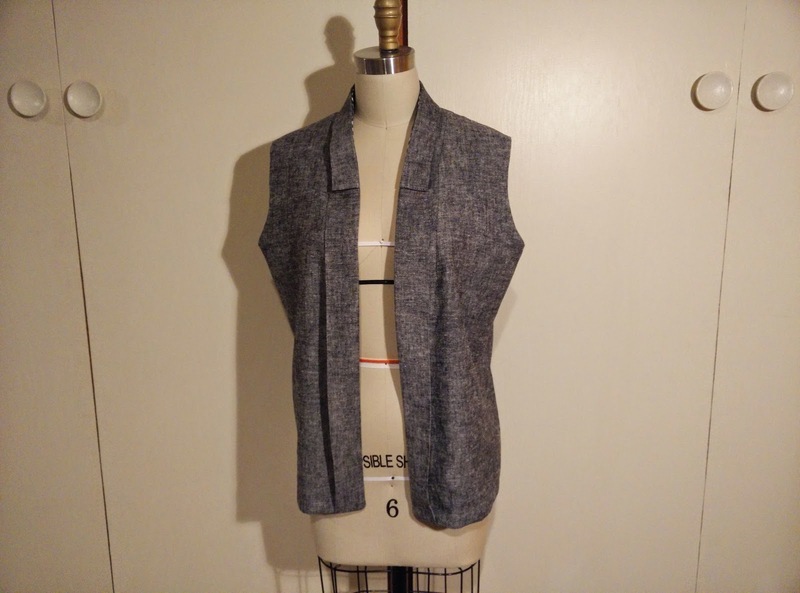 I chose the Victoria Blazer and made the sleeveless version in a black chambray with a black gingham lining. 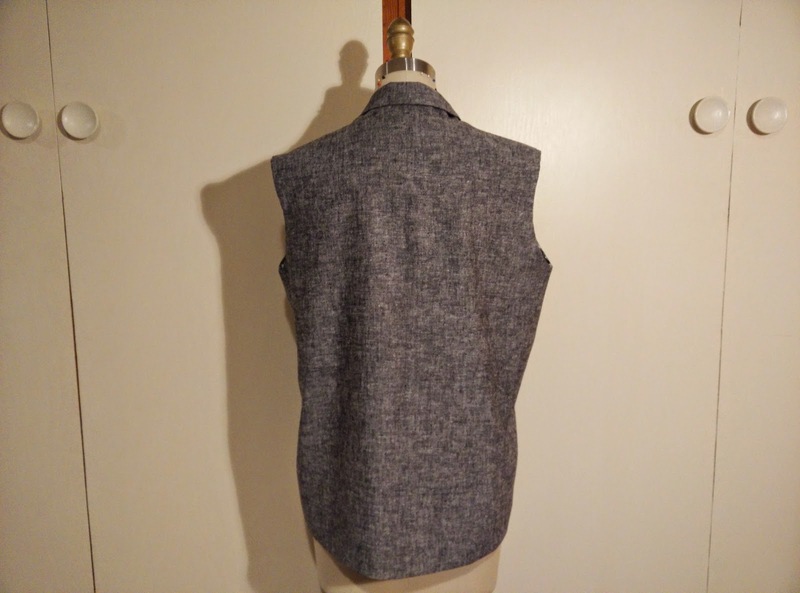 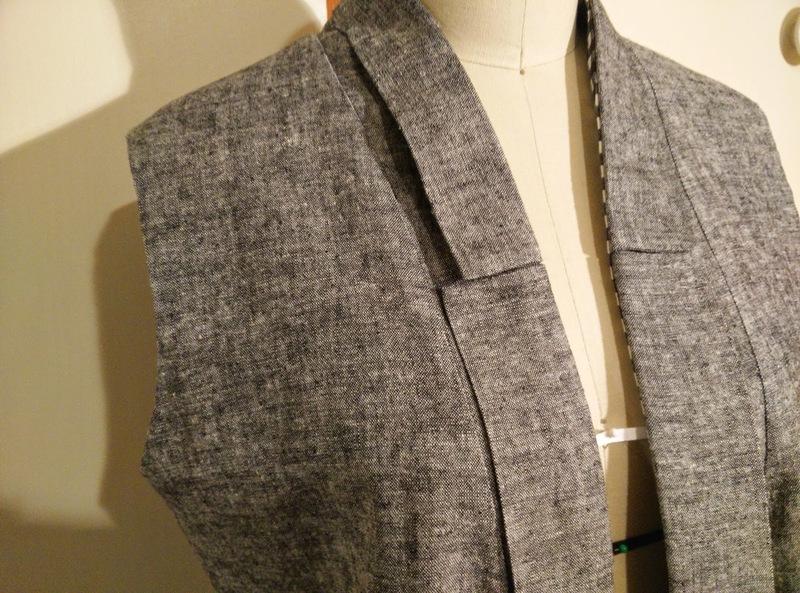 The sleeveless version was super simple to sew up, especially since I omitted the on-seam pockets. 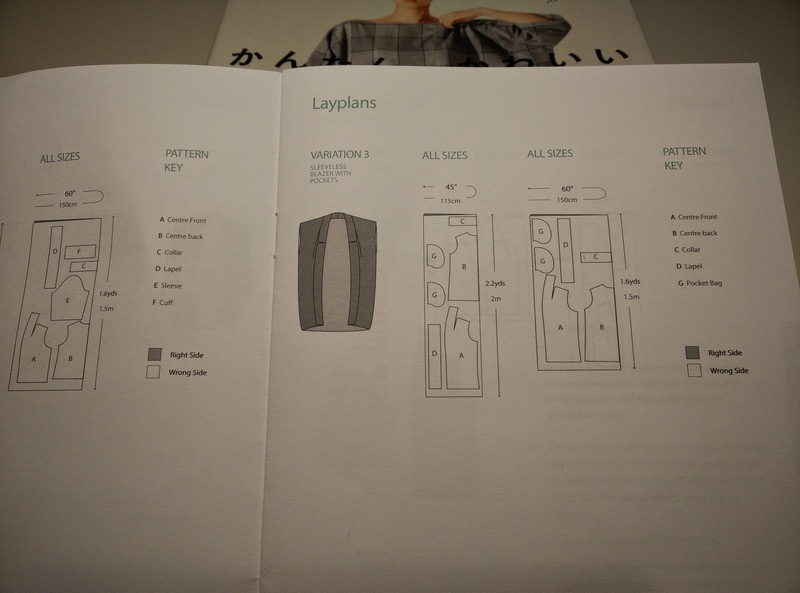 I found the directions to be clear and easy-to-follow. 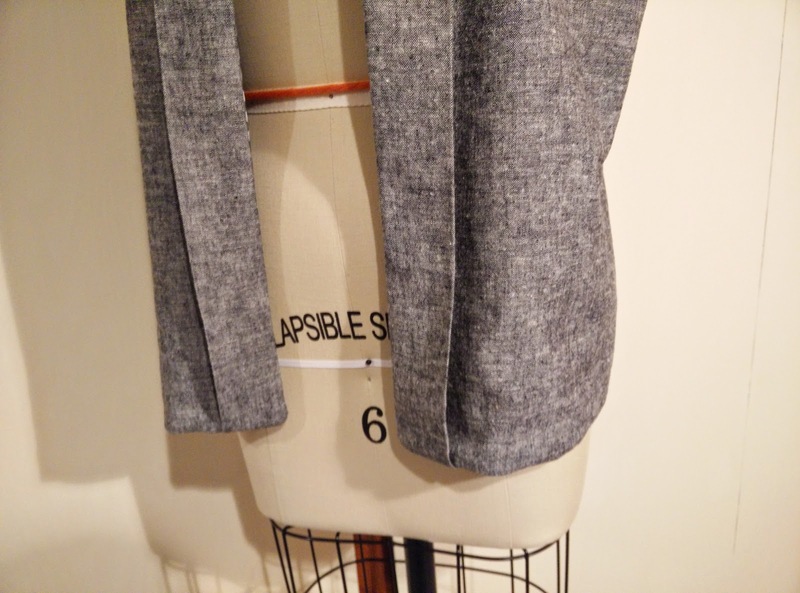 Another modification I made (though inadvertently) was sewing the bottom of the lapels into the hem so they stay in place instead of flapping around. 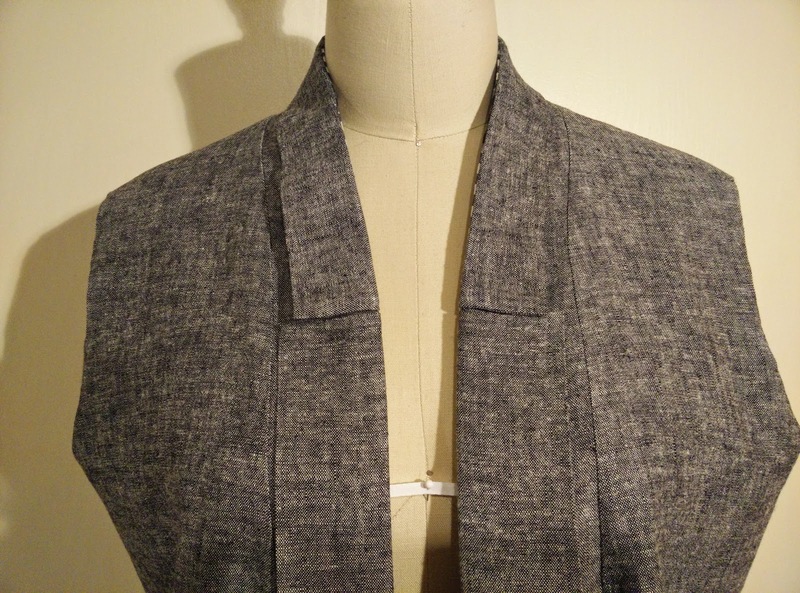 I like the boxy, casual shape of this garment and want to try making it in some other fabrics. 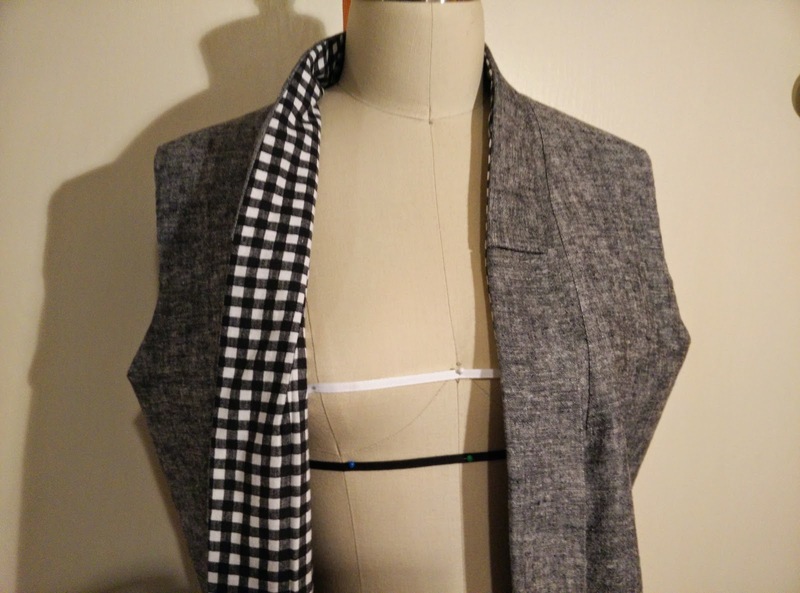 It should be a great transition and layering piece for spring!